This week, I have a less exciting, but very important tutorial for you. 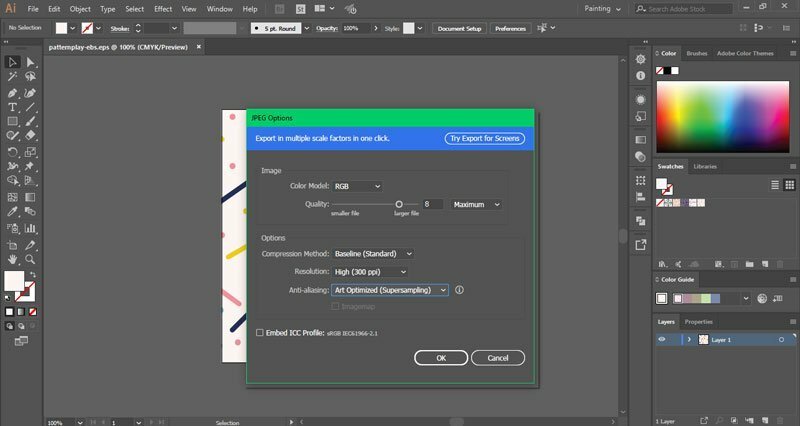 I’m going to show you how I save patterns in Illustrator. You are going to learn how to save them for Spoonflower, microstock websites, and for sharing them with your clients. If you use the pattern tool to create seamless patterns, you will have to make a few changes to them before you can save them as pattern tiles. Before we start, double-click on the pattern swatch and check the size of the tile. Then use the Artboard tool to create an artboard that’s the same size as the pattern tile. After that, just click on the pattern swatch you want to save and drag it to the artboard. It will look just like in this image. 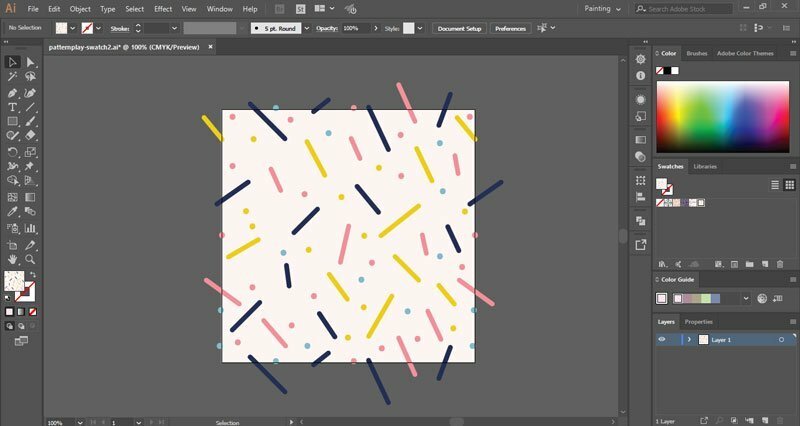 If you use the older method to create seamless patterns, you will also have graphics outside your artboard. If you want to save your patterns and send them to your clients or even sell them, you will have to crop them. This is not complicated, but you will first have to make sure that there are no strokes, open paths, or effects. To remove them, select the pattern and go to Object > Expand or Object > Expand All (if it’s not blocked), make sure all the options are checked, and press OK.
Right-click on the pattern and Ungroup it. Select the background and press Ctrl + C to copy it, select the pattern layer that’s on top, then press Ctrl + F to paste the rectangle. Go to Windows > Pathfinder, select all the layers, and click on Crop. 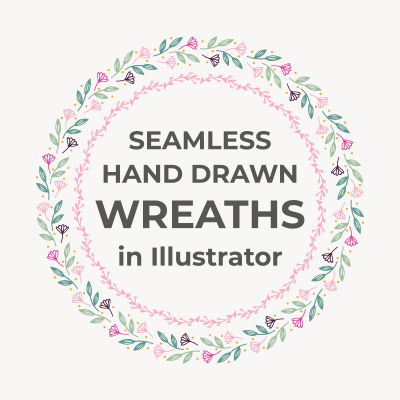 Now you have a seamless pattern title that you can save as a vector or raster file. To save your pattern tile as a vector Illustrator file, just go to File > Save as > Adobe Illustrator file type, choose the version you want, and press Ok. 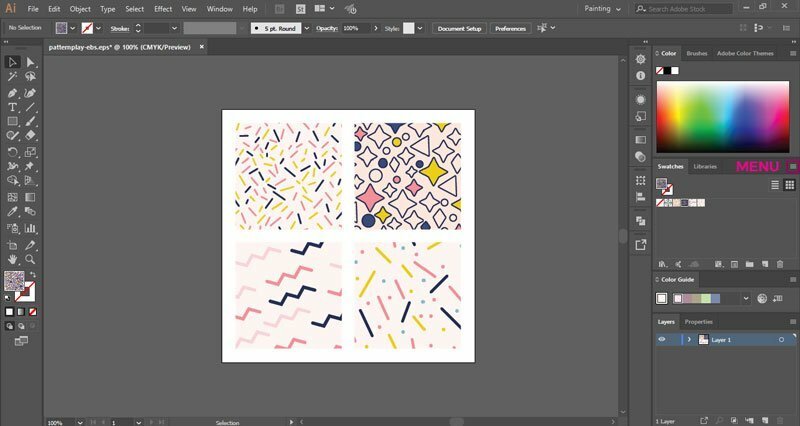 Your pattern tile is almost ready for uploading on sites like Adobe Stock or Shutterstock. Before you upload files on microstock websites, you should check the requirements. You should make sure that there are no open paths, that strokes and effects are expanded, and that there are no embedded images. 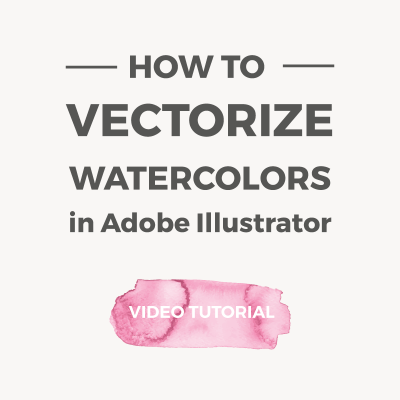 If you scan your artwork, you should always vectorize it before you create a pattern or use Photoshop to create raster images. Check your layers and unlock all of them. Once your file is ready, go to File > Save as, and choose EPS as the file type. Adobe Stock also accepts AI files. Most microstock files only accept files that are compatible with older versions of Illustrator. I usually save my files as Illustrator 10 files. If you only upload EPS files or if you upload CMYK files, your colors might look a bit off. So go to Export > Export As > Jpeg and create a raster image. Set the Color Mode to RGB and make sure the Anti-Aliasing is set to Art Optimized. If you want to print your patterns on fabrics using Spoonflower, you should change your color profile to sRGB. To do that go to Edit > Color Settings. 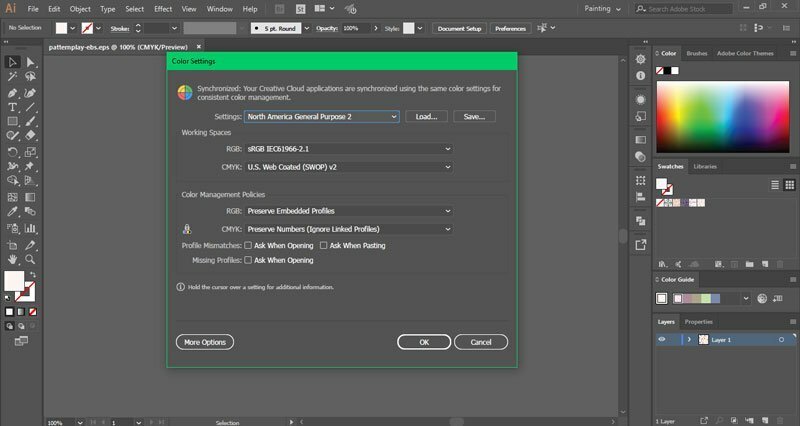 Set the color profile to North America General Purpose 2 and the workspace to sRGB. Go to File > Export > Export As and save your file as Jpeg or PNG. Set the Color Mode to RGB and the Resolution to 150ppi and save your file. There are a few seamless patterns in the Swatches panel. To save them, click on the menu button on the right side of the panel and select Save Swatch Library as AI. 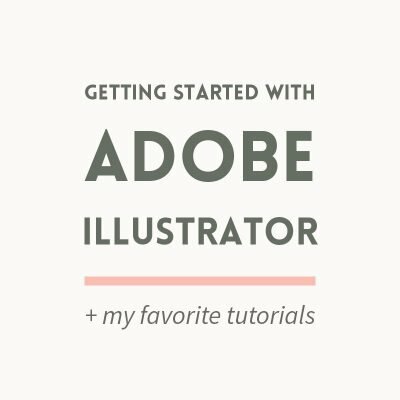 You can save them in the default Illustrator folder or on another folder on your computer. 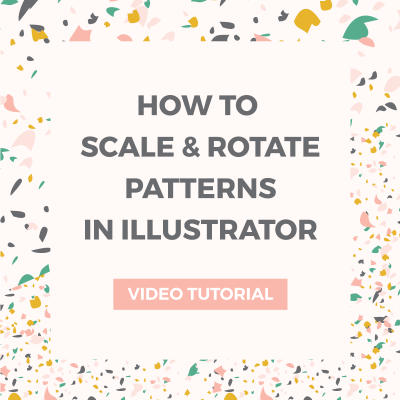 If you want to sell pattern swatches or send them to your clients, you can use the Rectangle tool to create small preview images and fill them with patterns. Then save your file as a normal AI file by going to Save as. 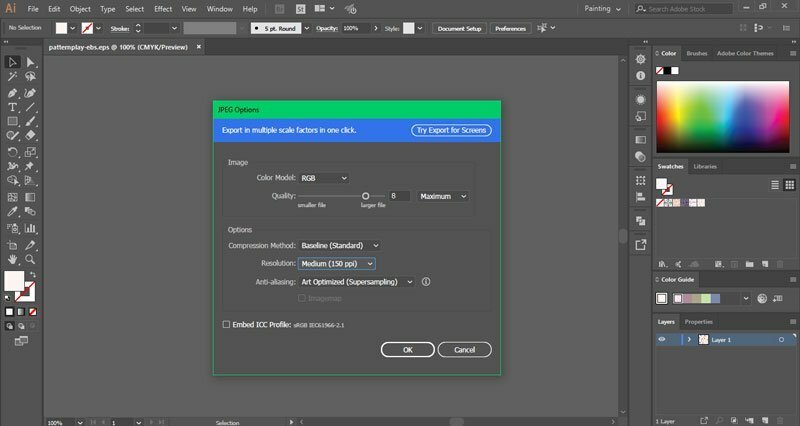 You can also save your seamless patterns as Adobe Photoshop PAT files. Add different formats: your clients might not use Illustrator or Photoshop, so you should add vector and raster files (Jpeg, PNG). I work with AI files, but I save my patterns as EPS files because they are compatible with all vector graphics editors. Save to older versions: not everybody used Adobe CC, so it’s a good practice to save your vectors as EPS10 or even EPS8 files, and your pattern swatches as CS5 files. Outline fonts: if you use fonts in your design, right-click on them and choose Create Outlines from the menu. This will transform the text into shapes, and your customers will be able to see your design even if they don’t have the fonts. Expand strokes and effects: unless you want your clients to be able to customize the patterns, you should expand them before you save them. Remove embedded images: raster images might cause problems, so it’s a good idea to include only vector images in your patterns. 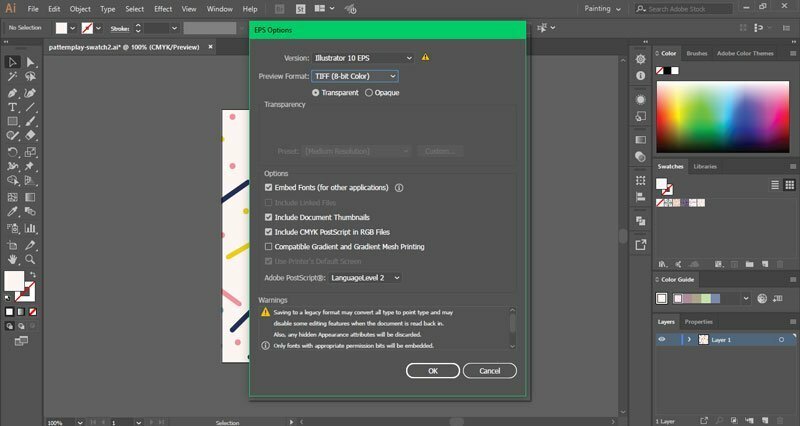 Save your artboards as individual raster images: you can save all your patterns and graphics in one vector file, but if you want to sell digital items, you should also export all of them as individual Jpeg images or transparent background PNGs for your illustrations. Do you sell digital products? 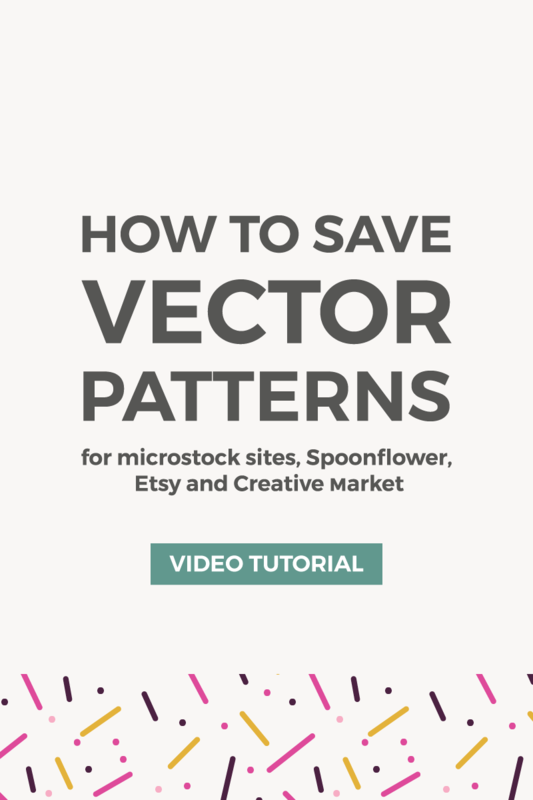 How do you save patterns for online marketplaces? Thank you so much for this tutorial! I just have a question. If I saved my pattern tile as in the tutorial for the pattern tool, I guess the first step of cropping the pattern is not necessary, right? 🙂 The pattern swatch is already expanded and cropped. You’re welcome, Sandy! You don’t need to crop the pattern swatches. Only the vector files and JPEGs should be cropped. You should save as an older version for your friend. I save mine as CC and CS5, but you can also try an older version. Remove everything that you don’t need before you save them. If you want to save just the patterns (without preview images), save them from the Swatches panel. You’re welcome! As far as I know, the library won’t be saved in the file. You will only see it if you are logged in to your Adobe account. Please do 🙂 Let me know if there’s anything you want to learn and I’ll try to make a post. Oh, I would love a tutorial on how to make pattern collections (how to work with color schemes) and how efficiently make a little collection. You know a workflow tutorial. X-) I hope that makes sense. That’s actually on my list, but I’m not sure when it will be published.